Taimur Ali Khan wrapped our hearts around his little finger ever since he was born 2 years ago. And the grip has only gotten tighter over time. Our eyes light up every time we see him and today is no different. 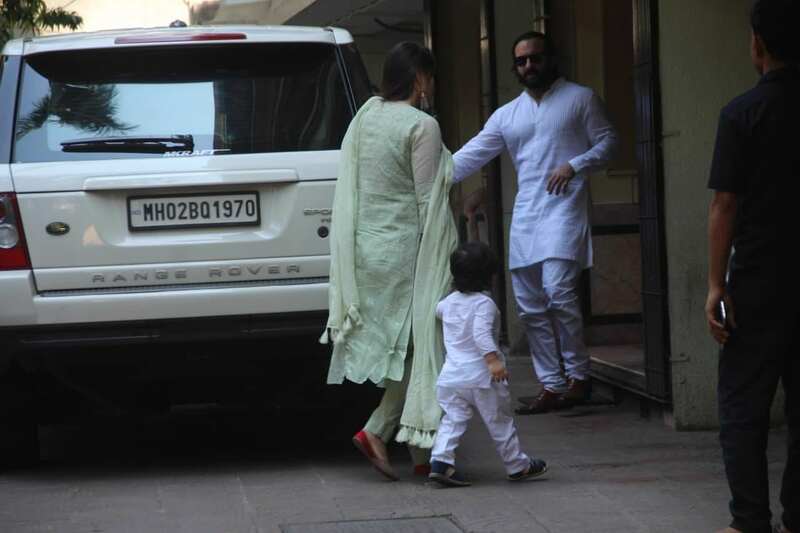 The handsomest little man in all of Bollywood stepped out with his parents Saif Ali Khan and Kareena Kapoor Khan for a Diwali puja at aunt Karisma Kapoor’s office.